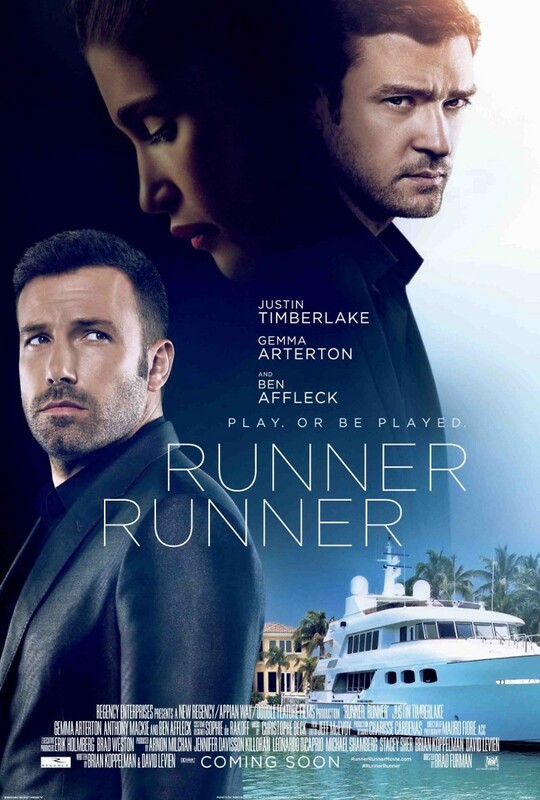 Runner Runner DVD and Blu-ray release date was set for January 7, 2014. Richie Furst is a graduate student at Princeton who is helping to finance his education by playing online poker. One of his high-stakes games goes bust, and he believes that he has been swindled. Determined to get his money back, he travels to Costa Rica in order to track down his competitor, who turns out to be the fabulously wealthy online gambler extraordinaire Ivan Block. Ivan offers to finance Richie, and a beautiful partnership seems to start, but there is more to Ivan Block than meets the eye. Richie is disturbed by the information he finds, and when the FBI comes calling in hopes of bringing down Ivan's empire, Richie must decide where his loyalties lie and try to escape his tangled web of deceit.